Notes is a tool that lets you take time-stamped notes while learning. You can mark important topics or sections you want to recall for real-world application later, and easily find and rewatch key points of videos within the course. With Notes, you can write during a specific point in the video timeline, organize them with hashtags to easily find them and jump to the video, and review them in the video player or on the Notes page. How do I add, edit, and delete my Notes? From within a course video, click the Add a Note button at the bottom of the player. Add your note using the note area that populates on the right-hand side. Press Enter on your keyboard to add the note. Click on the Note you would like to edit. You will be re-directed to the course video. Using the right-pane navigation, click on the Notes section. Hover your cursor over the note and click on Edit to make changes. Hover your cursor over the note and click on Delete. How do I download my Notes? You can download your Notes in two different ways. You can download all your Notes or only Notes for a specific course. Go to your Notes page by clicking on the notes icon in the left pane of your dashboard or by clicking here. Click the Download notes link in the top right corner to download a csv of all of your Notes. Navigate to a video in the course, click on Notes in the right sidebar, then click Download notes. How do I search my Notes? The Notes feature supports hashtags for searching capabilities. In order to organize your Notes, use a hashtag, e.g., #api, to organize your Notes and make them searchable. You can also navigate to your Notes page and use the "Search notes..." field to search through your notes. How can I format my Notes? Our Notes feature uses markdown for formatting, and specifically Github flavored markdown. Tip: Use Shift-Enter to create a line break. Pressing Enter will save your Note unless you toggle that off. You can use # symbols to create six sizes of headers and subheaders to organize your Notes. 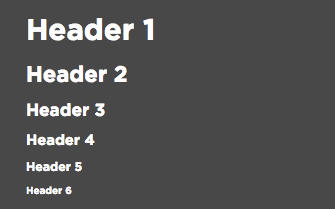 Alternate method: You can create 2 levels of headers with dashes/equals signs. This appears on your All Notes page, but will not display formatted on the page when you're watching a course. You can nest indents. What are Paths and how do I use them? What courses are in the Unity: Swords and Shovels subscription? What are learning checks and how do they work?